We were approached by UK enterprise agency, NWES, to design the identity for a new and exciting small business hub just over the road from us in Wood Green, North London. 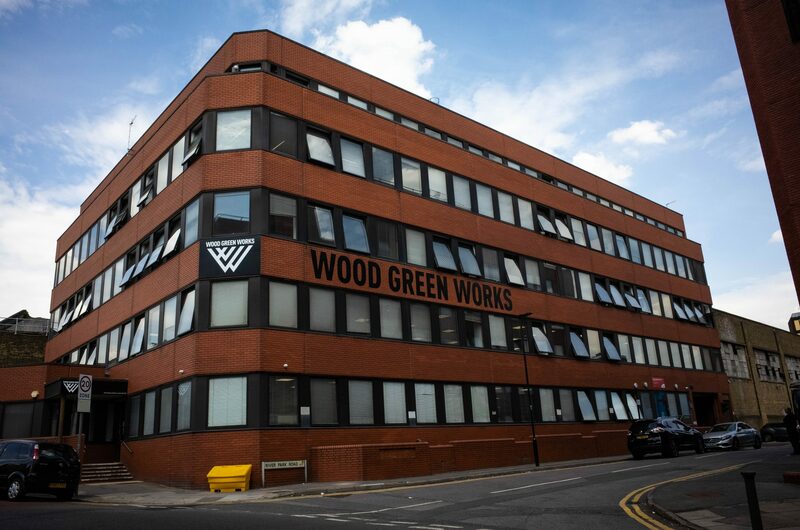 In a project backed by Haringey Council and the Mayor of London, ‘Wood Green Works’ would create flexible and affordable workspaces, co-working and creative spaces over two floors of surplus red-brick council office space. The new workspaces are aimed at entrepreneurs, start-up companies and creative practitioners in a move seeking to further establish Wood Green’s thriving creative community. The brief was to create an impactful identity that would appeal to creatives while remaining sensitive to the local environment, together with accompanying interior and external signage and wayfinding. The new restrained, black and white branding references the interconnected nature of the project, and contains a hidden series of tick marks to emphasise the positive nature of the project. Once the identity was finalised, we sourced and commissioned signmakers to create exterior signage for the building, which included giant black metal typography against the red brick. 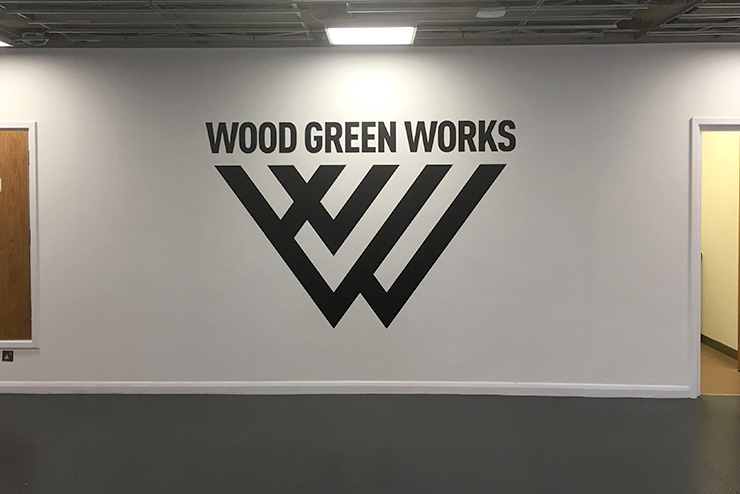 Inside the building, as well as branded wayfinding signage, a decorative logo graphic was applied to the reception wall on the first floor.